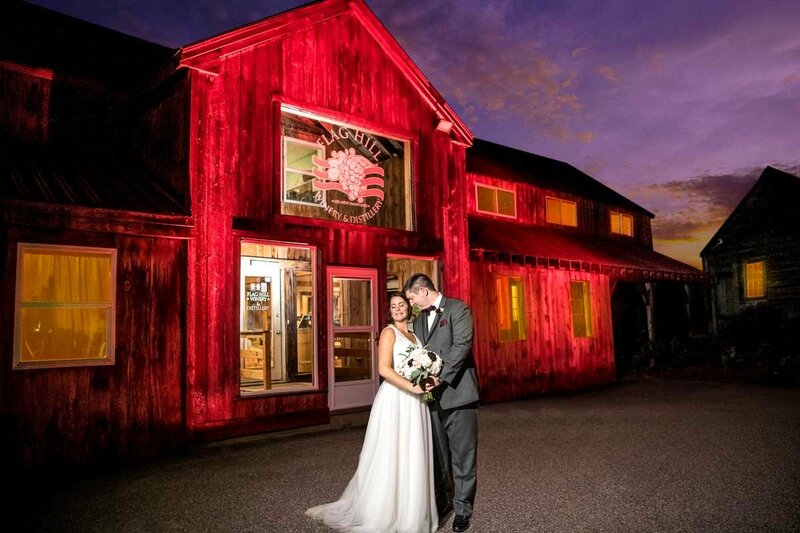 Considering your Wachusett Mountain Wedding? Everybody knows Wachusett Mountian as a great winter ski resort. During the off-season, they change their focus over to events with a focus on Wachusett Mountain Weddings! Summer weddings at ski resorts are the best-kept secret in New England! 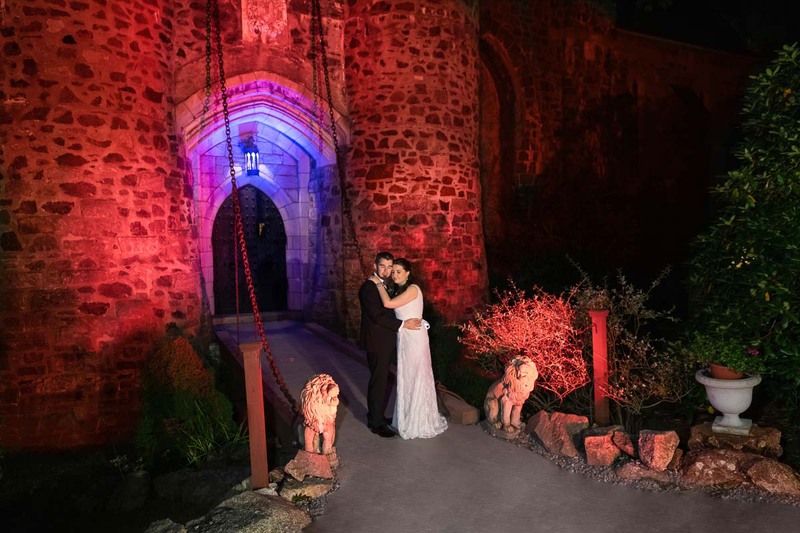 Most of these venues offer unique twists to make your wedding day truly unique and special. The grounds are simply amazing and the mountain offers breathe-taking views. This is a photograph’s dream! First of all, Don & Bonnie made the right choice in selecting their Wachusett Mountian Wedding. The Bridal Suite was spectacular! A huge spacious room for the Bride and all of her Bridesmaids to prepare just steps away from the ceremony and reception room below. Don and the Groomsman also had a large suite overlooking the mountainside. Perfect for the men to step out on the deck and relax a bit; hey, that’s what guys do! Don and Bonnie chose to do a First Look on top of the mountain. 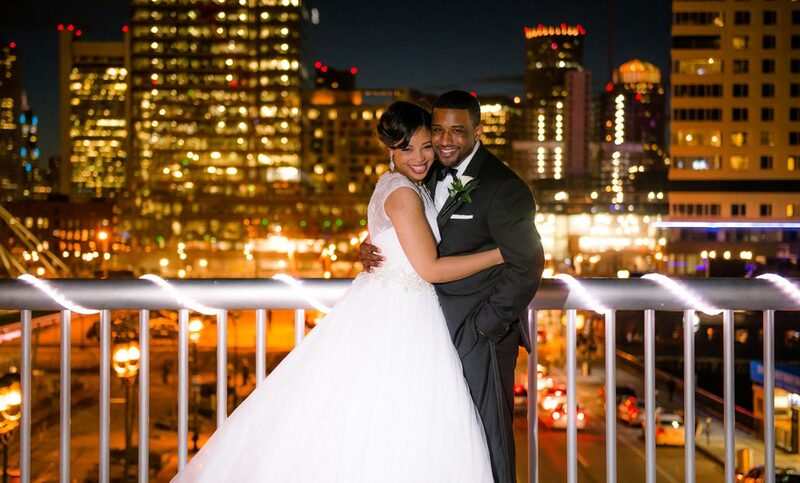 We captured some great shots of them overlooking the Massachusetts skyline! Afterward, we headed back down to the lodge with the bridal party and family photos. It was on to the ceremony! Wachusett Mountian offers a few locations for the ceremony, Don and Bonnie selected the deck overlooking the lake. This worked perfectly for their wedding of a hundred people! Now is when the fun started! 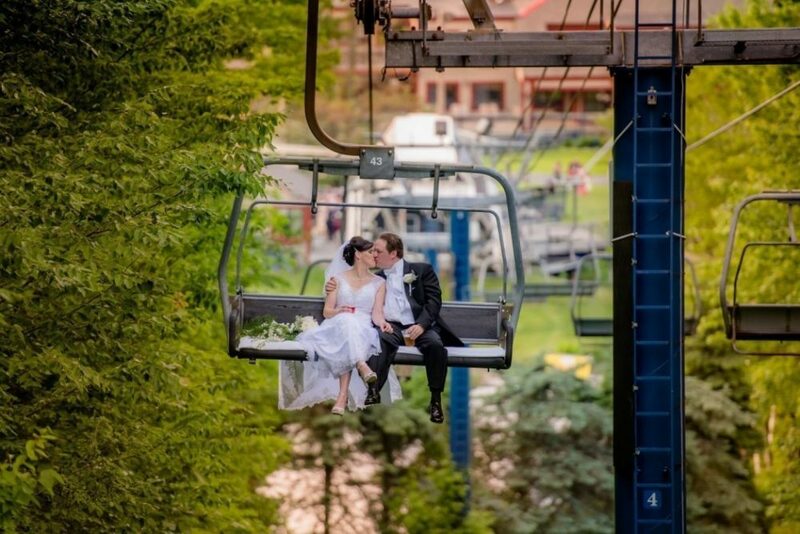 Wachusett Mountian offers a free Sky Rides to the entire wedding party! What a great 30 minutes of fun! Of course, the photographers were included and we captured some amazing pictures of the newlyweds on the lift! Afterward, all of the weddings guests settled in the reception for a great meal, dancing & celebration! Most of all, we snuck the bride and groom away for some final shots in the evening overlooking the lodge and lift. Congratulations to Don and Bonnie, you are amazing people, surrounded by great family & friends… and we were honored to capture your special day! Finally, here’s a preview of your Wachusett Mountain Wedding!